$1,000 Prize Pool Every Week in Vegas Crest Casino’s Blockbuster Slot Tournament! Get in bed, play your favourite Hollywood movie every Monday night, and don’t forget to play either. Here’s the blockbuster slot tournament for you! 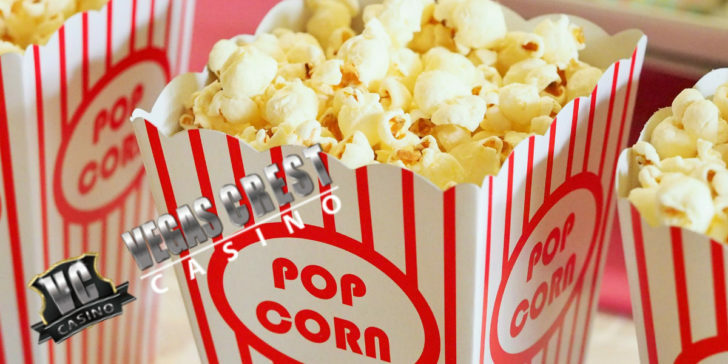 Vegas Crest Casino’s weekly blockbuster slot tournaments are here to turn your movie nights into cash prizes! You don’t have to live in Hollywood to enjoy an awesome blockbuster slot tournament at your favourite online casino site. So far your movie nights were probably only about the movies themselves. From now on, they can be about your prizes! Join Vegas Crest Casino and spend your Monday nights playing in the blockbuster slot tournaments. The site rewards 20 players with a total prize pot of $1,000 every week in November. The best player gets $250. Obviously, you can also check out the latest review about Vegas Crest Casino to learn everything the site has to offer. 20 players win every week! Available every Monday in November! Claim Promotion! Claim Promotion at Vegas Crest Casino! Halloween Cash Giveaway: $1,000 First Prize for the Best Vegas Crest Casino Player!